In November, Teddy’s will be paying tribute to Thanksgiving with our Turkey, Bacon, Swiss Burger! 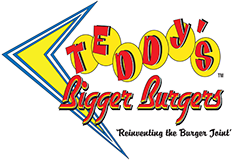 Teddy’s Bigger Burgers has many things we are thankful for and one of them is being able to service all the appreciative and supportive Teddy’s Bigger Burger fans. We’d like to show our appreciation by offering our Turkey, Bacon, Swiss Burger as our Burger of the Month! Kick it up a notch by adding Kilauea Fire Sauce, which will make you thankful for having ordered our Shake of the Month: The Pumpkin Shake!